Fresh Start Carpet Cleaning is a professional carpet & upholstery cleaning company. Fresh Start specializes in truck-mounted hot water steam extraction carpet cleaning. We use steam and water to remove the toughest stains, germs and bacteria fro m your carpet & upholstery. We also offer pet stain and pet odor removal services. We treat and neutralize pet odors with our special enzyme application. We treat pet stains on an individual basis each home is different and requires specialized attention. Fresh Start Carpet Cleaning offers a military discount to all of our active duty military personnel. Our service area covers most of Southern New Jersey, Philadelphia and parts of Central New Jersey. 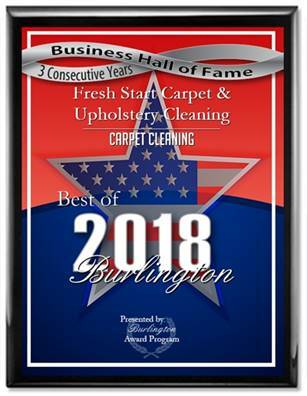 Before you choose any professional carpet cleaning company please do your research Fresh Start has numerous reviews on the internet on Google, Yelp, Home Adviser and Yahoo. We’ve been in the business of carpet cleaning for over 14 years we’re family owned we strive to please.